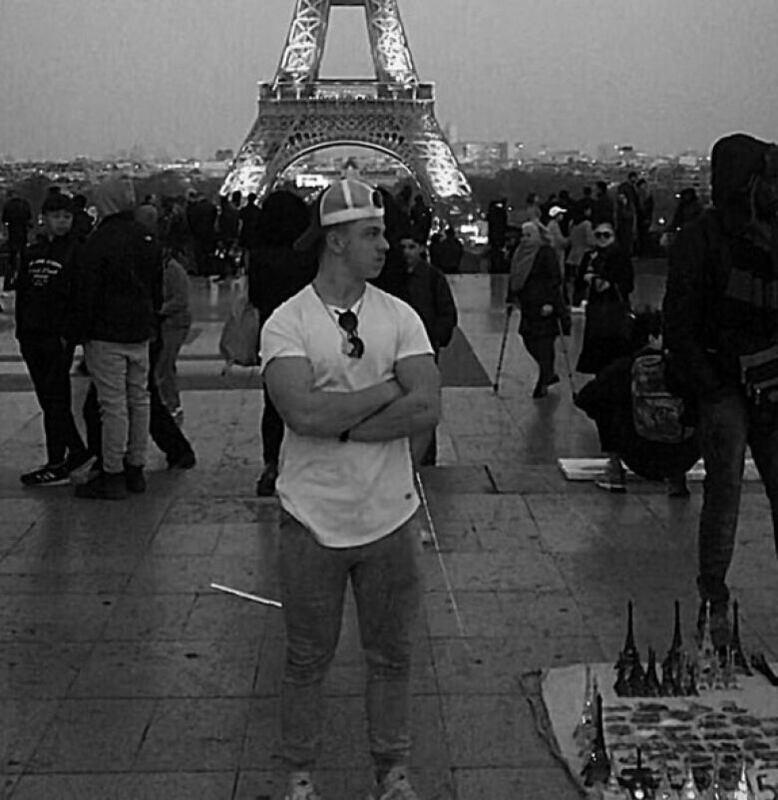 The memory of what Notre Dame Cathedral looked like just weeks before a devastating fire is something Will Lazarenko and his fellow St. Paul's High School students will hold onto. 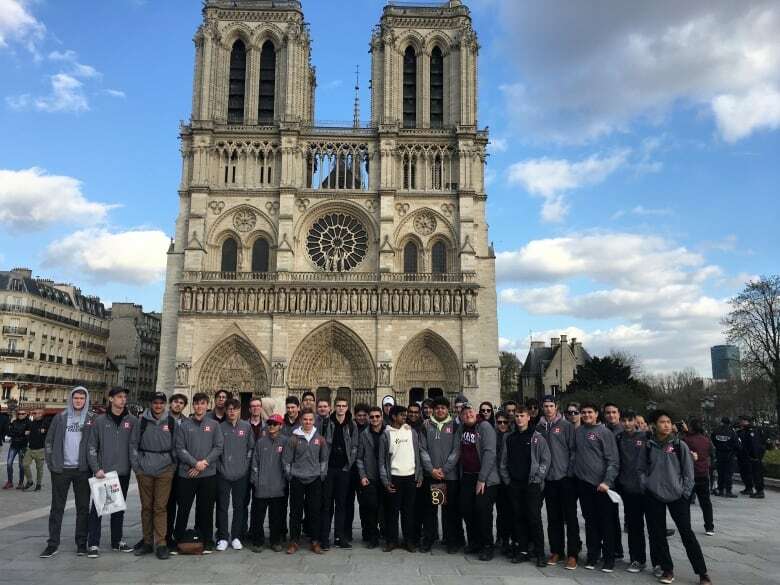 "Everyone is heartbroken," said the Grade 12 student, who recently returned from Paris, France as part of a spring-break trip along with about 30 others. "Even if even if we don't live in Paris, even if we aren't French, it is quite sad to know that something that's been around for this long is just gone in the blink of an eye." The fire started Monday evening in Paris — which is seven hours ahead of Winnipeg — and within hours the cathedral's iconic spire had collapsed and the roof had fallen into the wooden interior, throwing flames, smoke and ash into the evening sky. 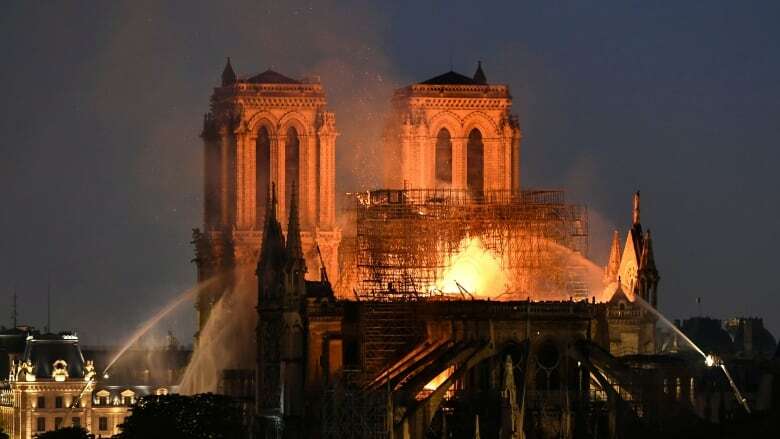 Firefighters managed to save the main structure of the building, including the two towers, and French President Emmanuel Macron vowed to rebuild, but Lazarenko said nothing can bring back what has been lost. "You can't just rebuild something like that. You can't just rebuild nearly 900 years of history," he said. "I would still go ahead and do what you can to preserve the space, replicate what it once was...But I don't think rebuilding it will necessarily take away from the from the sorrow people are feeling." Lazarenko and his classmates arrived in Paris on March 25 and attended mass at Notre Dame their first night in the city. They had seen the cathedral from a distance a few times, but nothing compared to seeing it up close, said Lazarenko. "Walking up to it was quite amazing itself, because I've seen it many times in photos and online and everything, but then you walk up to it and it's absolutely enormous," he said. "Then you walk inside and it seems like it's even 10 times the size. And everyone inside is quiet. The music is pretty powerful, too." Lazarenko is Roman Catholic and speaks French, but he said even his non-Christian, non-French-speaking classmates came out of the mass impressed. "Afterwards everybody came out and everyone was quite quiet and very appreciative to have gotten the chance to do it, especially now looking back," he said. Parisians lost something very important to them as Notre Dame Cathedral burns, says Alan Nobili, who grew up about three kilometres from the medieval cathedral. "This is simply unbelievable. This is very sad for Paris because this monument is incredibly important for us," Nobili, executive director of the Alliance Française du Manitoba, said Monday as the 850-year-old landmark burned. "I am very sad and I think most of my fellow friends and fellow French people are very sad today," Nobili said in Winnipeg on Monday afternoon. "It's at the very centre of Paris, one of the most important touristic attractions and very important for the Parisians." 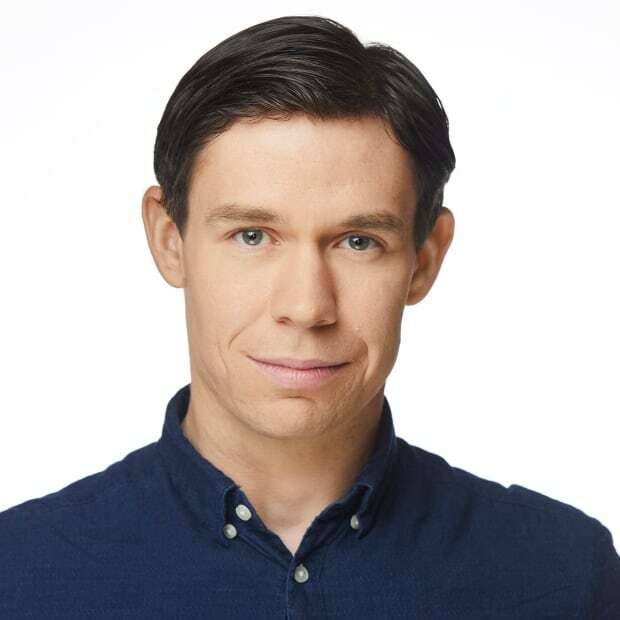 Nobili moved to Winnipeg from Paris four years ago to head up the Alliance, a cultural organization that teaches and promotes the French language. He visited Notre Dame last year, he said. "We are losing … something which is very important to us," he said, adding the cathedral, which he first visited with his school as a child, is among the most-visited monuments in Europe and the world. "This is very central to our life," he said. "Even if you don't visit it, you see it almost every day when you cross the River Seine." Frenchway Café owner Larissa Webster lived in Paris for four years and often spent time playing with her children at parks that sat in the shadow of the grand cathedral. "Sometimes I would go into the cathedral just to be in awe of its grandeur," she said in an interview with Ismaila Alfa, host of CBC Manitoba's afternoon radio show, Up to Speed. "It was a magnificent cathedral and I spent a lot of time there. Very peaceful, very quiet." She heard the news about the fire as she was driving and called her ex-husband, who is from Paris. After he confirmed the news, she went online to see the images for herself. "It was devastating ... When I watched the footage of the spire falling and collapsing. I remember the roof, the timbers, we don't have construction like that in these centuries," she said. "I'm sure they will try to rebuild, but they won't get that back." The Archbishop of Winnipeg released a statement Monday afternoon, saying the Notre Dame Cathedral is not simply an "amazing architectural icon" but is closely associated with both French and Catholic history and heritage. "It is a very sad event that not only is a catastrophe observed by the eye but a loss felt by the heart," Richard Gagnon wrote in a statement on the website of the Archdiocese of Winnipeg. "Notre Dame Cathedral has been an inspiration for many millions of people from different cultures and religions around the world."